As Competency Based Education (Outcome Based Ed) is forced on our public schools in New Hampshire, it helps to know what a traditional classroom looked like and what the Outcome Based Classroom looks like. Whether it’s called Competency Based Ed, Standards Based Ed, Proficiency Based Ed, it’s all the same. It’s OUTCOME BASED ED. Yes the failed fad from the 90′s is back and part of the redesign in public education coming from the U.S. Department of Education and being facilitated by Governor Hassan. This entry was posted in Political Bias and tagged Competencies, CompetencyBasedEd, OutcomeBasedEducation, USDoE on April 20, 2015 by SCC. A parent once contacted the SCCNH blog because that parent was upset that it was revealed on this website an email that showed their child taking part in school curriculum, all of which is subject to public knowledge. The trouble here was, this curriculum was forcing the children to take a political stand and do activism surrounding it. The instance demonstrated what we have been saying for so long; that schools use children as political mules. Apparently this parent approved of their child being used in such a manner. Such parents are hypocritical when they complain about something that is by law public knowledge but then allow so much data gathering by the schools, data which is then shared with government and commercial interests. The mere act of sending their children to public schools is abusive. TEWKSBURY- Tewksbury Public Schools face angry parental backlash following the release of private student information online last week. A document included in a 222-page School Committee packet remained online for the better part of a week, before being taken down Monday. Awareness of the data, which details private information for the out of district placements of 83 students and rates their parents according to their “cooperativeness” with the district, raised outrage on social media over the weekend. This entry was posted in Data Mining, Parents, Political Bias on April 6, 2015 by Admin. New Hampshire Teacher Speaks Up: Is Anyone Listening? We recently came across this post from a New Hampshire teacher who was courageous enough to speak up. The question now; is anyone listening? A recent article in the Londonderry Times regarding concerns about the new, Common Core aligned SBAC test contained statements made by Heather Gage, Director of Educational Improvement for the New Hampshire Department of Education. Ms. Gage asserted, “Somehow there’s misinformation about us asking questions regarding social issues, such as gun control and sexual orientation. There’s nothing in the assessment like that”. I agree, these exact questions are probably not part of the test. However, what Heather neglected to mention is the fact that, in The US Department of Education’s Office of Educational Technology Draft, “ Promoting Grit Tenacity and Perseverance” it is clearly stated that, “ noncognitive factors—and particularly grit, tenacity, and perseverance—should play an essential role in evolving educational priorities.” It also states, “we found common operating principles for designing supportive contexts and evidence that contributing psychological resources can, to a large extent, be taught and cultivated.” I’m not clear on exactly what the intent is here or how it will be implemented. However, if you couple this with the fact that FERPA laws have been weakened and the fact that there has been a shocking lack of transparency regarding Common Core and its associated data collection through SBAC and other means from both the state and federal government, this becomes greatly concerning. 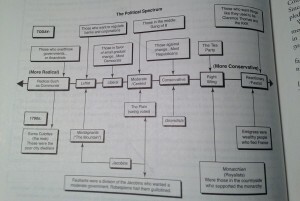 In early February of this year, upon approaching the NH Department of Education myself about my concerns regarding Common Core and SBAC, I was given a link that led me to the works of Linda Darling-Hammond, proponent of using psychometric tests and close friend and colleague of the communist and Weather Underground founder, Bill Ayers. When I approached the NH State BOE regarding these same concerns, I was urged by the board’s chair, Tom Raffio, to acquaint myself with the works of Dave Coleman, head of the College Board and responsible for aligning the new SAT to Common Core. Instead of solid academic research, I was instead given biased information supporting Common Core. Indeed, we need to be concerned about Common Core’s experimental, one-size-fits-all copyrighted curriculum standards, scripted lessons, untested methods of teaching math, corporations making billions by helping to design and implement this, “ transformation”, high-stakes tests, data mining, and emphasizing test scores which will encourage teaching to the test and inevitably narrow the curriculum. However, what we really need to worry about is the underhanded and undemocratic way that all of this has come about, who is in charge of education in this country and exactly what it is that they are doing. 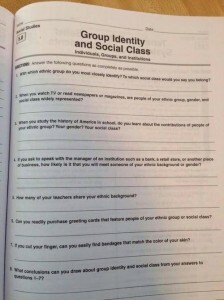 I have yet to hear of a society that collects personal data on its citizens and uses one-size-fits-all instruction to effectively force “equality” on its masses remain democratic or avoid violating the civil liberties of its citizens. This entry was posted in Academic Freedom, Political Bias, Teacher Opinion, Teachers and tagged DianeSekula, Letter, NH, Teacher on April 6, 2015 by SCC. This is what teachers must endure: highly paid consultants that teach them they are bad people and racists because they are white. One wrote: “Keep on the lookout for where whiteness shows up, share that information with colleagues,..” warns Kim Feicke in a recent email to Portland teachers. Feicke is a highly paid “Diversity Consultant” for the Portland Public School System. This is a story about Portland, Oregon but it’s been happening here in New England since the early 1990s. This entry was posted in Political Bias, Teachers on March 18, 2015 by Admin. Clarence Thomas Like the KKK? That’s not the only thing Barron’s got wrong. The irony? The KKK as most white supremacist groups, are socialists. Upon examination, we see other biased and inaccurate statements such as most Republicans, along with conservatives, are people who are among “those against change”. In another very laughable comparison, we see they have equated the ‘tea party’ with the ‘right wing’ and who support the ‘monarchy’. The reason this is laughable is that colonial tea party, as well as the modern day tea party were and are adamantly opposed to the monarchy, both in England then and now, especially the global elites that are said to run our countries. Barron’s has listed ‘those who want to regulate banks and corporations’ as ‘leftists’, when the tea party, famous for bringing the ‘end the fed’ movement to the fore, certainly does not like the offshore global central bankers in control of the money in the USA. It is also fair to say that when the government becomes corrupted, it is not just communists or anarchists, but also constitutionalists who would like to ‘overthrow the government’, or at least overthrow the people who run it poorly. Parents who thought AP was the sensible alternative to programs like Common Core and IB, should review these materials. They might be shocked at what they find. This entry was posted in Curriculum, Miscellaneous, Political Bias on March 13, 2015 by Admin. We suspect these books mentioned in the article below were not politically correct and thus do not meet the new standards for political correctness. Public and school libraries often toss these books out, books which could go to poor children or schools instead. It has been reported to us that schools in our area have done this also. For example, one book that was written and illustrated by a black author was deemed ‘racist’ because his drawings were of the style that the faces had no eyes or other features. It was his style, not a statement about black people… but that was not respected and the book was rejected. Some teachers salvaged and kept the books in their rooms in protest. Government censorship is alive and well my friends. Make no mistake about it, this was a BOOK BURNING. This entry was posted in Miscellaneous, Political Bias on February 28, 2015 by Admin. This won’t surprise anyone who has had experience in the public schools in the last 10 years or so. It is a revealing anecdotal story among many we hear weekly. She is an exceptionally smart and driven student but like many does not “perform” on standardized tests well, so for the last few months has been working with an ACT tutor. She explained to us that if she was to actually write what she thought, which was that such an idea was cop out and silly she knew she would not get good marks for her essay. So she revealed that she wrote an essay that was the polar opposite of her actual beliefs and which was instead in support of students’ demonstrating “understanding” via a personal blog. So. Here we are 2015 and the conversation is utterly controlled. The designated values, behaviors and beliefs are carved in stone so that even those students who are not indoctrinated but smart as a whip know that to advance at all in any way they must speak in lock-step with the Planners. Sadly this has gone on for a very long time and extends to the teachers as well as many other government controlled jobs such as Health and Human Services, etc. 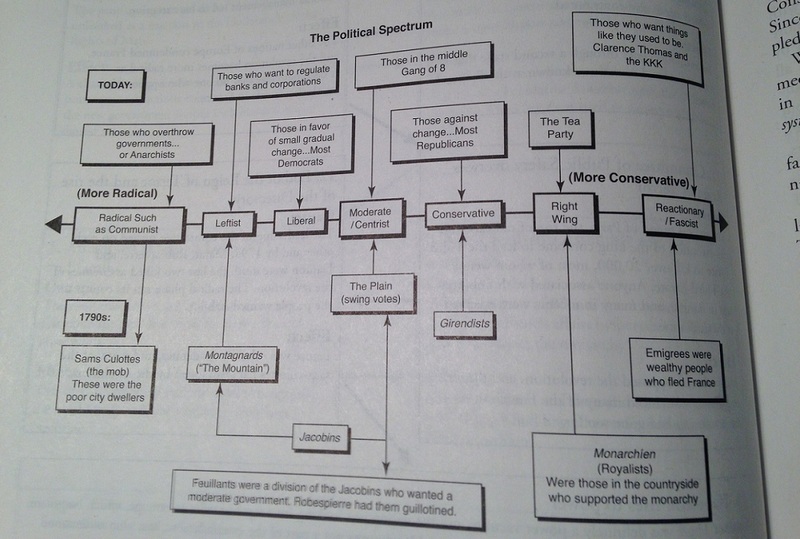 This entry was posted in Curriculum, Political Bias on February 9, 2015 by Admin. There is nothing wrong with learning about water shortages and how to mitigate them, if you are planning on becoming an engineer who deals with that sort of thing. But in middle school and high school, the UN influence is very clearly being promoted in Bedford: they seek to politicize the children and get them to serve the UN’s agenda and its Millennium Development Goals, their worldwide plan for wealth redistribution. The faculty hopes this newfound awareness their students have will have a lasting impact, and possibly inspire some to pursue the Peace Corps or other volunteer endeavors. Volunteer endeavors? What about supporting ones self? Education is no longer about being successful enough to support oneself, but how to intervene on behalf of private agendas, even those of groups who are NOT our government. This entry was posted in Inappropriate Lessons, Political Bias on December 18, 2014 by Admin. Unfortunately Mayor of Manchester Ted Gatsas (who seems unaware of how his teachers are being trained) and State School Board Chair Tom Raffio (who denies there is any bias in public schools in NH) are either in cahoots or in denial about what is going on in the City of Manchester’s and Town of Pittsfield’s public schools. These two locations have partnered with Annenberg Institute which isn’t pushing academics, but social justice, on our students as a valid mode of learning. Annenberg is advertising this movie — Vision to Victory: An Education Roadmap for a New Mayor — which seems only to be the vision to victory of their socialist movement’s complete takeover of our country using our children as pawns. If you live in Manchester or Pittsfield, ask the school boards there what they think they are doing? This entry was posted in Miscellaneous, Political, Political Bias on December 10, 2014 by Admin. 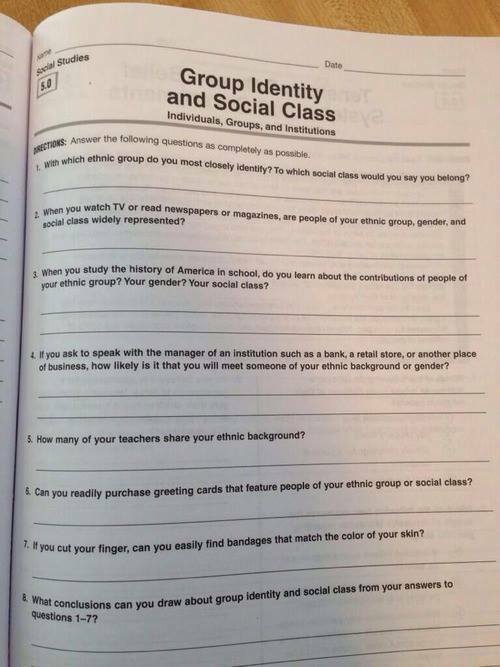 This is from a typical lesson that may be included with International Baccalaureate or Common Core curricula. Teaching children the wrong things…click for larger view to read. More atrocities… Who gives us our rights? This entry was posted in Curriculum, Inappropriate Lessons, Political Bias on December 3, 2014 by Admin.